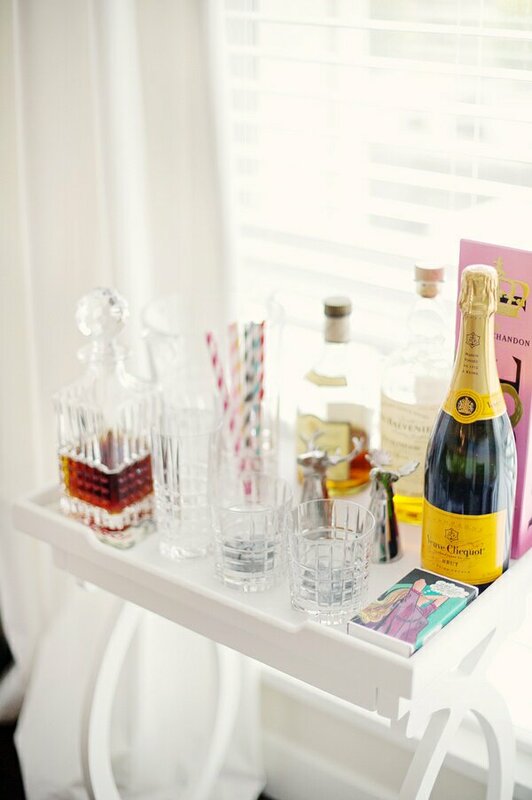 You Are Cordially Invited to Champagne Sunday … Style My Bar Cart! Hey Dolls! | Yep, it’s been a minute. No excuses – sometimes life gets in the way. But, I’m back with a Champagne Sunday twist. 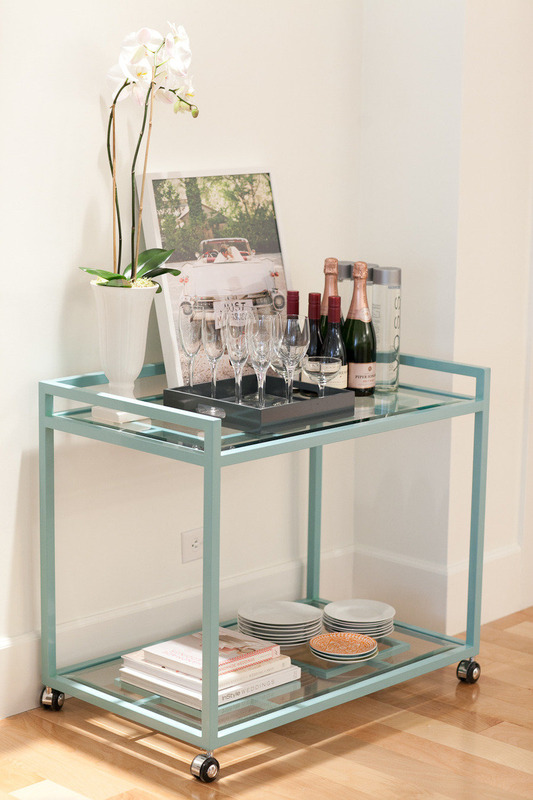 I’ve been noticing a trend that not only do I want to reproduce in my home, but I want to share with you – the styled bar cart! I’ve been seeing them everywhere, with suggestions on what constitutes a fully stocked bar cart. And not any old piece of furniture, on which you decide to sit your cocktails and glasses; but swanky showpieces that compliment your home decor. Whether your taste is vintage inspired, or modern and glam. 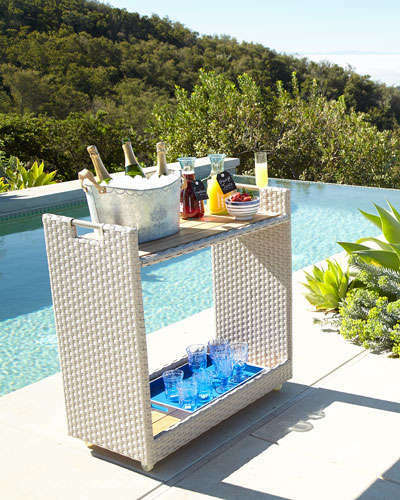 Whether you’re a French 75 kinda Doll, or a most modern mixologist maven, serve your cocktails on a bar cart with guaranteed high-proof panache! 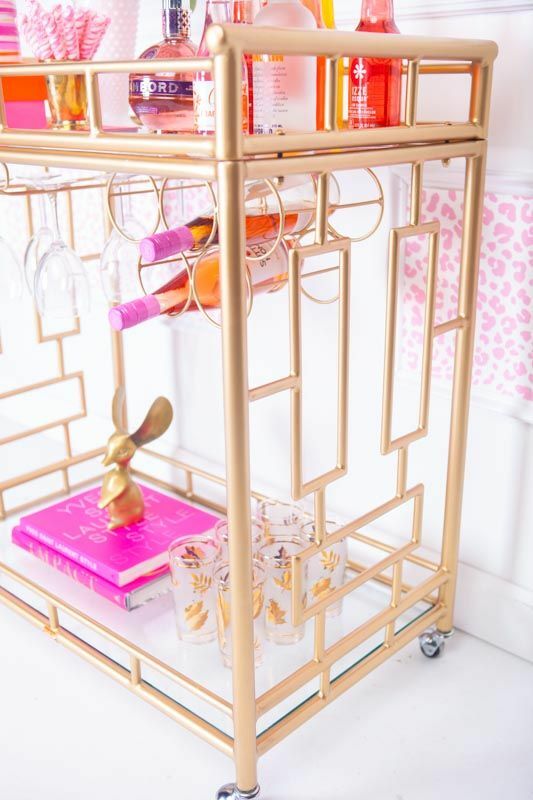 Peep the pics for some bar cart inspiration. 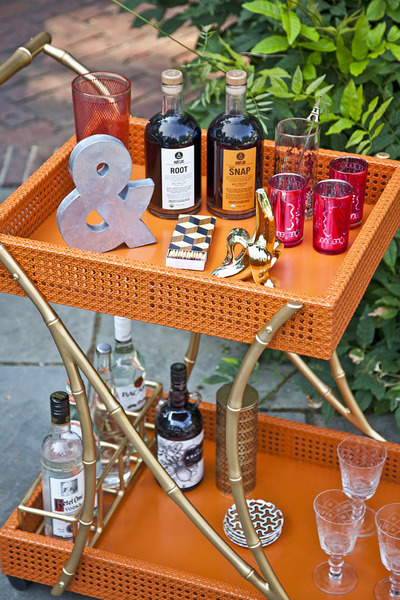 The Triple Trolley Bar Cart. But, your bar cart is not complete until it’s perfectly stocked. 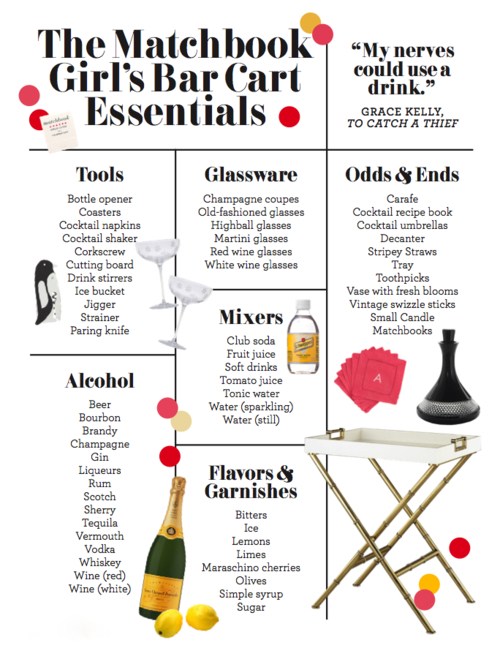 Here are some bar cart essentials to have on hand when planning your next soiree, compliments of The Matchbook. Very Nice! Hope all is well and glad to hear from you. Hi Sharon! Great to hear from you! I’m doing well. How are things with you?